We are proud to offer sports medicine treatments to help athletes of all ages and skill levels boost their athletic performance and recover more quickly from their injuries. Whether you are a student athlete, weekend warrior, outdoor enthusiast, serious or professional athlete, Sports Medicine Acupuncture can help to create a healthier, stronger, faster, more agile and competitive you. Treatments utilize the best practices of both Traditional Chinese Medicine (including acupuncture, Tuina [physical therapy] and herbal formulations) to using Western Medicine techniques and therapies such as Microcurrent, cold lasers and programs of corrective exercises. I work in collaboration with all primary care physicians, physical herapists, coaches and other medical professionals. Endpoint Wellness has number of physicians and therapists that are athletes themselves as referral sources should that be needed. Whether you’re looking to stimulate your muscles, recover from a sports injury, or relieve stress before a big event, we can help. When considering Sports Medicine, it is important to understand that beyond treating injuries, it focuses on those who want to play a sport or be active in one again, and to those that just want to hike, backpack, climb or pursue other outdoor activities. If you are a follower of the Tour de France, you may have learned that the 2014 winner, Vincenzo Nibali and his Astana team, was the only team to bring their own licensed acupuncturist to the Tour. Throughout the Tour, the acupuncturist visited with the riders twice a day, once before stages and once at night to promote recovery and relaxation of the muscles. Elite athletes in every sport are turning to acupuncture because it works. Endurance athletes use it as a drug-free way to boost sports performance. Students need a physical examination as directed by the school. For everyone else, you should have a current physical from your primary care physician. You should inform them as to what sport or activities you are planning to engage in. Once cleared to participate, you should look at the types of clothing suited to the sport. Of utmost importance, have an expert look at your shoes or boots prior to starting. During workup to an activity or while preparing for a game or race, there are a host of injuries that can happen, leaving you discouraged or injured. You may also experience fatigue, frustration with not meeting training goals or a coach’s expectation, and experience stress and anxiety prior to an event. Treatment at this stage involves looking at how hard you are training, evaluating underlying conditions that could be holding you back, discussing if you are over training, nutritional counseling, and sometimes simple encouragement. Being treated with acupuncture while training is becoming common with several elite athletes, but you don’t need to be elite to use it. Acupuncture is very beneficial and affordable to all. It is very common to experience anxiety as to how well you will perform, feeling that you are not ready, knowing full well that you have trained and are physically ready. If you have done everything properly, you may just need a quick balancing or anxiety treatment which takes 30 to 60 minutes. If requested and arranged prior, Endpoint Wellness offers pre-event acupuncture, massage and Kinesio taping. After the race, game or activity, it is very common to feel fatigue and soreness. You need to listen to your body. Most often, an Epsom salt bath will fix the generalized aches and pains. If soreness persists after two to three days, you may need further treatment. If you are in this stage, schedule an appointment so we can get you feeling better and back to training for the next event. Sports injuries can happen at the worst times, and most athletes are not content with the option to discontinue training. 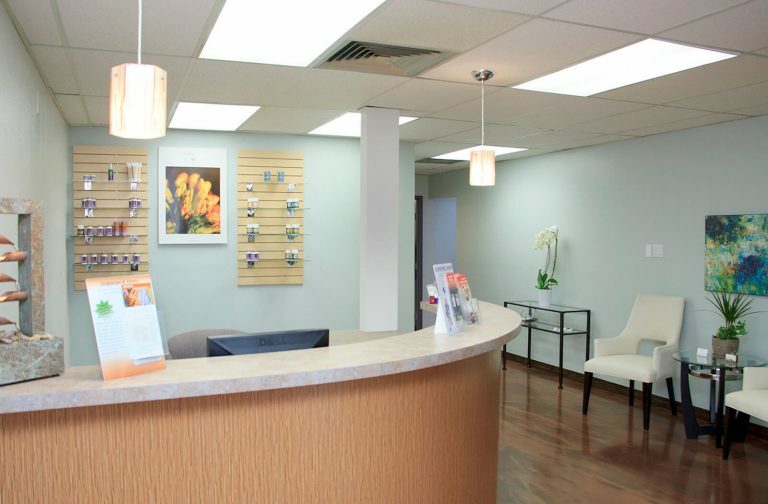 I will try to accommodate you by actively managing your treatment program. If you become injured as you are involved in student sports and club events, it is best to follow the advice of the coaches and trainers to see whether a trip to urgent care is warranted. If nothing is broken, then the same or following day it is important to start acupuncture and/or Microcurrent therapies. Using the combination, Endpoint Wellness can get you back on your feet faster and back to training faster. If physical therapy is recommended, I can refer you to those therapists that understand and treat athletes – as we have the common goal of getting you back to training in the shortest amount of time. In the event you require surgery, it is very important to make sure your body is prepared for the surgery, so your recovery will be faster. Post-surgery acupuncture should start the same day or as soon as feasible. For those that want to excel at their sport, sports performance can be as simple as doing acupuncture and Microcurrent to affect the muscles involved in your sport from training and just prior to an event, to herbal formulations used by athletes worldwide. Best yet, is to use a combination of both. Consultation and treatment can start the same day in most cases. Will acupuncture help you win the next race? It certainly relieves pain due to sports injuries, reduces stress, increases circulation, decreases inflammation, and encourages wounds to heal faster. In addition, TCM can be used for prevention as injuries are often the result of imbalances in musculature and muscle-firing patterns. Why do athletes use TCM? No drugs, few to no side effects, and many benefits. A partial list of athletes who have used acupuncture to both aid performance and recover more quickly from injury or surgery include Vincenzo Nibali (cycling), Kobe Bryant (basketball), Daniel Kowalski (Olympic swimming), Dee Dee Trotter (Olympic track and field), Ray Emery (ice hockey), Deena Kastor (marathoner).